Find headache relief in your kitchen. camera (Getty Images) Have a headache? Try these foods for help. intro: Stress, tension, or migraine—headaches are a part of life, but you don’t have to spend your days chained to a bottle of aspirin. Nature has you covered. When researching Eat It to Beat It!, I found are plenty of anti-headache foods already in your fridge, just waiting to keep the brain pain at bay. 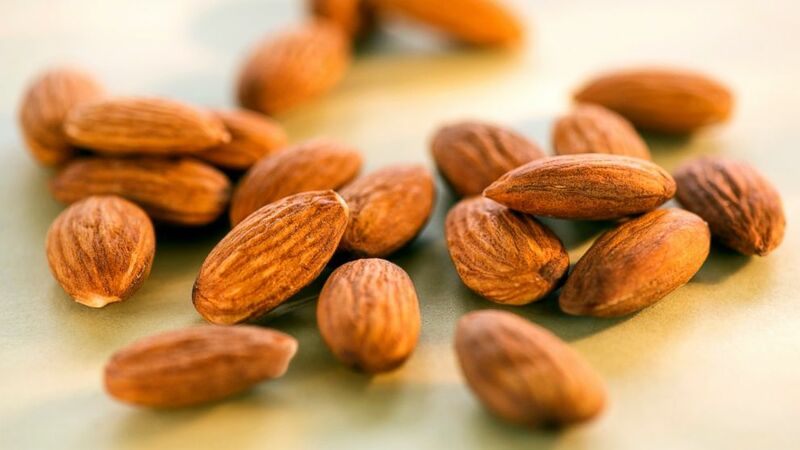 quicklist: 1 category: Headache-Fighting Foods title: Almonds url: text: Almonds are rich in magnesium, as are other nuts, bananas, beans, avocados, apricots, and oatmeal. Recent studies indicate that magnesium may modestly ease and prevent the onset of headaches. This may be because among its many duties in the body, magnesium plays a vital role in blood pressure regulation. So, why don’t you share some of the blood that’s rushing to your head with the rest of your body? quicklist: 2 category: Headache-Fighting Foods title: Milk url: text: Studies have shown that low levels of riboflavin (vitamin B2) in the body are a key trigger for migraines. Prevent the banging in your brain by eating a diet rich in dairy, meat, eggs, and leafy greens. quicklist: 3 category: Headache-Fighting Foods title: Peanut Butter url: text: Ladies, this one’s for you. If you suffer from menstrual cycle headaches, there is help in sight – a diet full of vitamin E rich foods like peanuts, sunflower seeds, tomatoes, and avocado has been proven to significantly lower the onset of cycle-related pain. quicklist: 4 category: Headache-Fighting Foods title: Salmon url: text: Tryptophan probably makes you think of Thanksgiving, but this essential amino acid is found in more than turkey. In fact you can find it in fish, dairy, cheese, nuts, legumes and grains. And it does more than just make you sleepy; tryptophan is an important component to serotonin production, and serotonin regulates pain in the body, among other things. One study showed increasing your tryptophan consumption may be a natural way to temper that headache pain, and cheese tastes a lot better than aspirin. quicklist: 5 category: Headache-Fighting Foods title: Cherries url: text: Cherries contain a compound called quercetin that may just be nature’s answer to aspirin. A natural anti-inflammatory and statin, quercetin-rich fruits like apples, blueberries, and grapes, in addition to cherries, can help you regulate pain and high blood pressure — a double whammy of awesome. Dave Zinczenko, ABC News nutrition and wellness editor, is a No. 1 New York Times bestselling author. His latest book, "Eat It to Beat It!" is full of food swaps, meal plans and the latest food controversies.